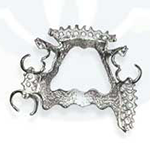 Dentures replace missing teeth resulting from decay, injury, or disease. Thanks to the range of materials and options we provide at Global Dental Solutions, you can supply the right style and price point to your patients to improve their appearance and overall health. 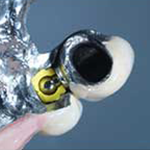 Our options include standard acrylic and resin with optional upgrades to a premium Lucitone 199 processing base or IPN, Bioblend, or porcelain denture teeth. 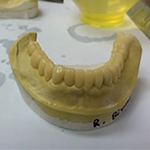 Our lab-processed temporaries will make your patients smile. They are esthetic, durable, and will not discolor. Unnatural looking or ugly provisionals are a thing of the past. All we need is your impression or pre-operative model, bite registration, and opposing model. Take a look at the range of trusted providers we use for complete removables. 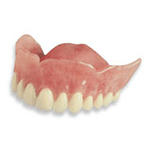 Work with us for all your patients’ dentures.